Can…you…hear…that…echo…? It is amazing, but spaces as small as conference rooms and as large as cathedrals can possess such a “live” quality in their acoustics that echos and reverberations can drown out the clarity of what’s being said or heard. While some spaces thrive on just the right reverb quality, others are just annoying and counter productive. Have a large living room with a cathedral ceiling? The cathedral ceiling is a beautiful feature of any modern home, but acoustics can become a problem once you have that home stereo cranked up. Have you considered custom artwork with acoustic backing to both beautify the room and absorb some of that reverb? Have a conference room, foyer, or meeting space that is the definition of echo chamber? The vendors we carry not only have products meant for just these spaces, they usually specialize them for just such a project. 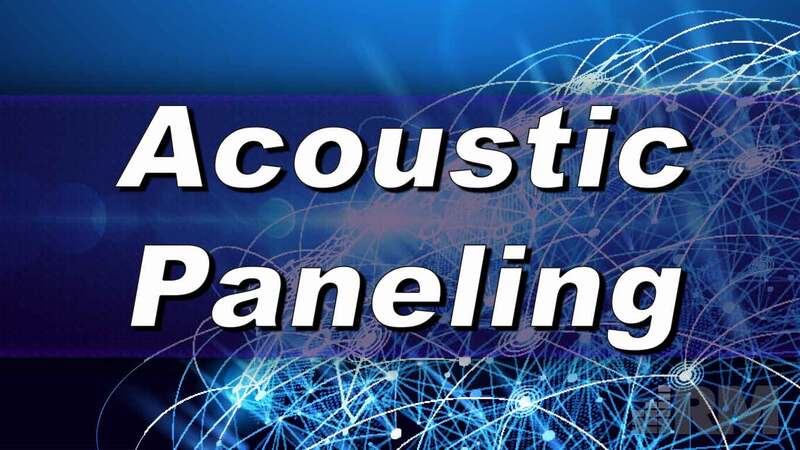 From decorative panels to custom artwork, there is a panel that will work in your space. Have a youth room or sanctuary where 1 snare drum sounds like 10? Many of our earliest clients were churches and non-profits. We know not only the gear you need but also the budget you have to work with. Let us know today how we can help.